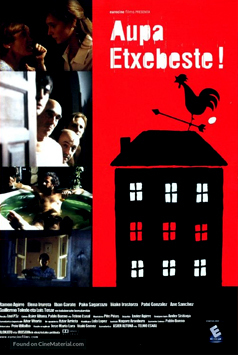 Iñaki Perurena: Navarrese or Basque? In this Spanish video clip that was making the rounds, Basque Renaissance Man Inaki Perurena. Here he is put on the spot in an interview with a leading question that he is not a Basque but instead a Navarrese, and gives an impressive response. On ongoing issue of identity is between those who consider themselves Basque, those who consider themselves Navarrese, and those who consider themselves both (and of course none of the above). In this interview Inaki Perurena explains the historical development of these identities, and when it was that being Basque was being Navarrese and vice-versa when the medieval kingdom of Navarre encompassed all of the present Basque regions. 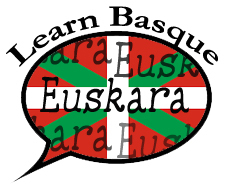 He concludes by saying that he is of Euskal Herria: the land of Basque speakers. This guy not only speaks well, he can lift some pretty heavy loads! He first came to renown as a champion Basque weight lifter, but he does more than that. Then also starred in a television series "Goenkale" on ETB1. He has also written poetry, sculptured and composes bertso among other things. Hence the Renaissance Man designation.